If you are finished reading The Outsiders, be sure you have another book to read. Reading Logs are still turned in in Fridays. Click HERE to see find the starter in Google Classroom. On the Google form, answer the following questions. Before workshop today, let’s go through the steps with one of the assigned articles. Use the presentation below to go through the steps. Wednesday, January 3: Can Criminals Also Be Heroes? Goals: Read chapters 7 and 8. Complete at least 8 close reading responses. Read and respond to one Newsela nonfiction article. Still waiting for 4 students to publish the instruction guides to happiness. Meet with me today. Can a criminal also be a hero? Why or why not? Give an example from The Outsiders and/or real life. Click the above link to explore the unit website for The Outsiders. What do you notice? What questions do you have? Add the site to the home screen of your iPad. On the bit.ly/staygoldGV website, click the Nonfiction tab. Follow the directions for accessing Newsela. You may use the Newsela app or a web browser (Safari or Chrome). NOTE: You can read articles on the app without WiFi access. You may read the articles in any order, as long as you finish all activities by January 18. Tuesday, January 2: Welcome Back! Goals: Participate in a community circle. Review The Outsiders Unit Goals. Revise and publish one of your close reading responses. No Weekly Pages while we read The Outsiders. Instead, each response should be at least paragraph length. Because we missed a week and a half of school, there will be no mid-year writing portfolio assessment. There will still be an end-of-year writing portfolio. Copy this week’s assignments in your agenda. For the month view, click HERE. Today’s circle will have two rounds. Click through the slide deck below to read about circle norms and to see today’s questions. Before you complete the second round of the circle, watch this “Terrific Tuesday” motivational video. As you watch, use the cognitive strategy Analyzing Author’s Craft. Click HERE to open the assignment in Google Classroom. Read the feedback on your responses from Ch. 1 to 3. Reread how to earn an A and look at the sample responses from The Hunger Games. Scroll down to see the list of transitions and transitional expressions. Be sure to use at least one in each response. Highlight the transition so that I can find it easily. 4) Revise Your Close Reading Responses and Publish Your Favorite on Socrative. Goals: Read Outsiders Ch. 6. Write 1 – 2 close reading responses. Practice adopting an alignment with people in a short video. Substitute Tomorrow: Read Outsiders and work on close reading responses. If you are finished with the book and all 15 responses, start on the Newsela assignments or No Red Ink. Click HERE to answer the starter question in Google Classroom. Click HERE for how to get started with Newsela. Take a few minutes to log in and see the three assigned nonfiction articles. All three relate to The Outsiders. You can read them in any order. As you read, highlight and annotate with cognitive strategy responses. When you are done, write to the prompt and take the quiz. When you finish the three required articles, you can earn bonus points for reading other articles in the Outsiders Text Set. Click HERE and scroll to Go Beyond for directions. Click HERE to open the audiobook resources in Google Classroom. You may listen and read along OR simply read. Check the Find the Chapter chart to locate your place in the audiobook. If you are keeping up with the reading, you should be on Chapter 6 or beyond. Use the Cognitive Strategies Booklet (see below) to help you craft high-quality responses. Work on Close Reading Responses: You must have 15 by the time we finish the book. Finish Outsiders research. Click HERE for directions. If you already started this, you can find your Doc in Google Drive. Goals: Read. Add one or two extended close reading responses. Congratulations to those who finished the instruction guide to happiness. Check NEO to see the scoring guide with your grade. Comments are in Google Classroom and NEO. I have not finished grading all of them yet. Absent yesterday? Read yesterday’s blog post and catch up on Outsiders Ch. 4. 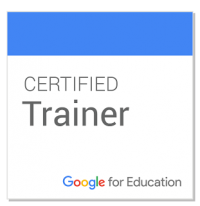 Click HERE to open the starter in Google Classroom. Check the Find the Chapter chart to locate your place in the audiobook. If you are keeping up with the reading, you should be on Chapter 5 or beyond. Goals: Read. Add one or two extended close reading responses. Analyze Hinton’s craft. Congratulations to those who finished the instruction guide to happiness. Check NEO to see the scoring guide with your grade. Comments are in Google Classroom and NEO. I have not finished grading them yet. Still waiting for 5 students to complete and publish the instruction guides to happiness. Meet with me today. Check the Find the Chapter chart to locate your place in the audiobook. If you are keeping up with the reading, you should be on Chapter 4 or beyond. Goals: Read Chapter 2. Choose a cognitive strategy to respond. Add a transition word. Instruction Guide to Happiness: Congratulations to those who have published their explanatory writing piece (Instruction Guide to Happiness). If you have not revised, proofread, and published yet, please do so today for partial credit. Absent Yesterday? Read the blog from yesterday. Be sure to complete the starter, read Ch. 1, and complete one close reading response. Outsiders Research: If you did not complete the Outsiders research in the library, please finish it for homework. If you finish by Friday, you can still earn full credit. Changes to Assignment Calendar: Click HERE to see the revised calendar for this week. Click HERE to read about how to respond to what you read in The Outsiders. For your own copy of the assignment, go to Google Classroom (click HERE). Use the Cognitive Strategies Booklet to write an extended response (2 – 3 complete sentences). Finish reading Ch. 1 or start reading and annotating your first nonfiction article in Newsela. Click HERE for directions on getting started.